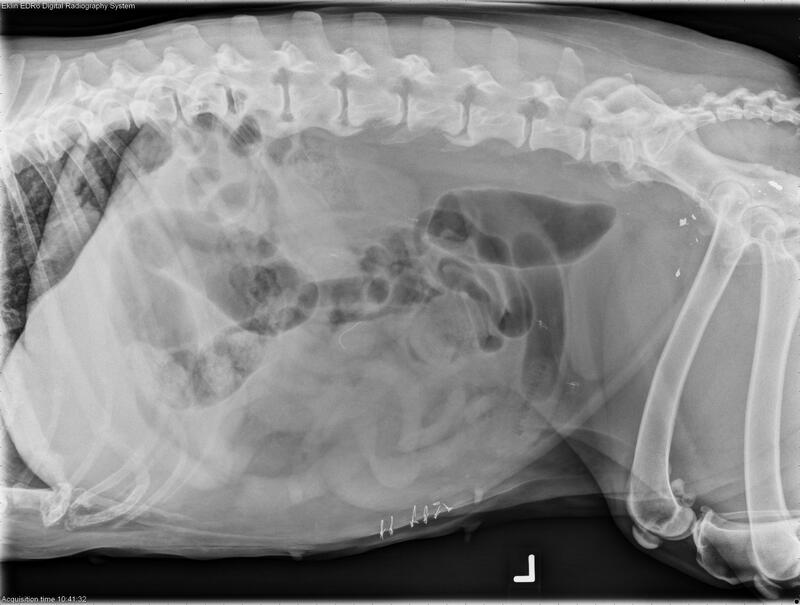 Today’s case is an 11-year-old Terrier cross with three-day history of lethargy, anorexia, and two bouts of vomiting. Post your comments below! Within the abdomen, there is marked gas and fluid distention of multiple loops of small bowel as well as other loops of small intestine that appear within normal limits. 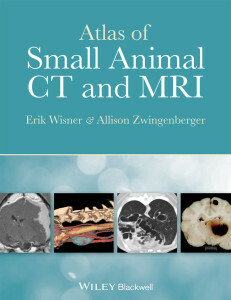 In the caudoventral abdomen, there is a focal area of regularly spaced radiolucencies within the small intestine that represent a foreign body such as a corn cob. 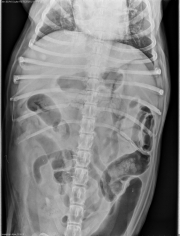 There is a large volume of gas within the colon, which is mildly corrugated. There is mild loss of serosal detail. The splenic margin is mildly irregular with a rounded nodule appearing to protrude from the margin of the spleen, noted on the right lateral projection. 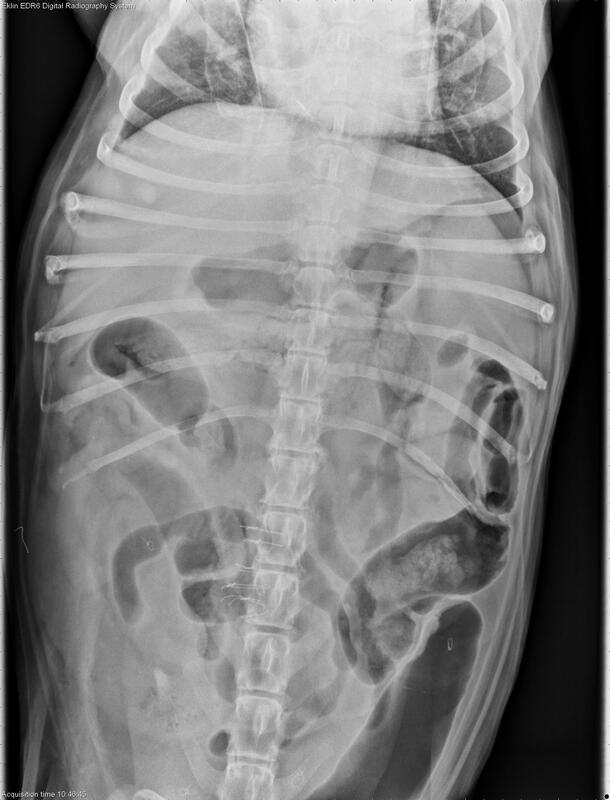 Foreign material within the intestine with evidence of mechanical obstruction. 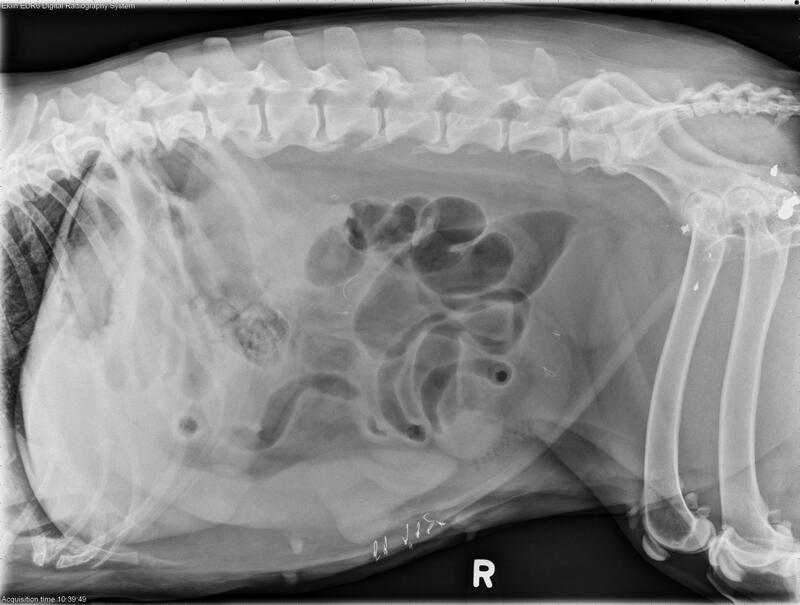 Serosal detail may indicate mild ascites or peritonitis. Suspected splenic nodule. 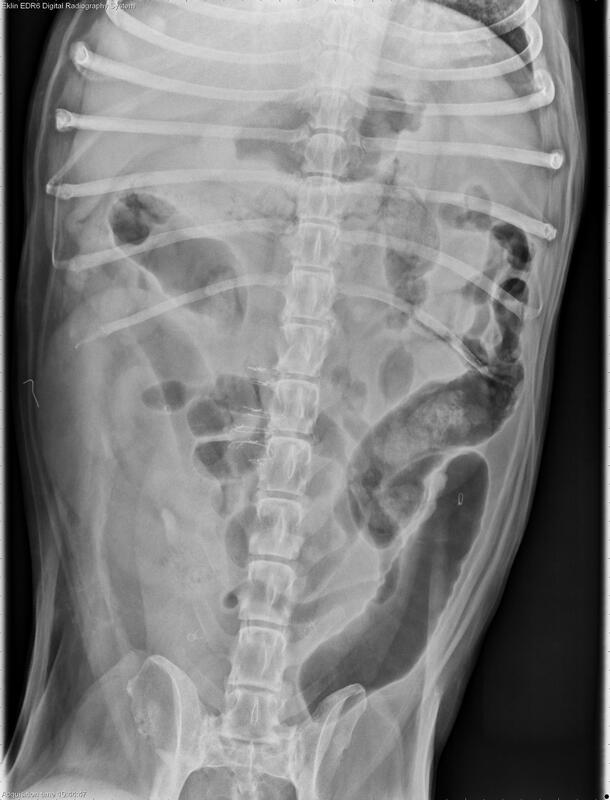 Looks like a pretty serious case of spondylosis as well…I guess that wouldn’t influence anything in this particular case would it?